Joseph A. Maurice is certified as a Civil Trial Attorney by the Supreme Court of the State of New Jersey's Board on Trial Attorney Certification. He practices primarily in the areas of commercial and criminal litigation. Mr. Maurice litigates in both state and federal courts. He also has experience in matrimonial litigation and real estate transactions. Mr. Maurice is a former court-appointed mediator for the New Jersey Superior Court. He served as the Borough of Paramus Municipal Prosecutor for the Criminal Part and formerly of the Traffic Part. Upon graduation from law school, Mr. Maurice clerked for the Honorable Bruce A. Gaeta, J.S.C. in the Criminal Part of the Bergen County Vicinage. Mr. Maurice is a member of the Million Dollar Advocates Forum, which resulted from his trial of a securities fraud class action trial, Williams et al. vs. Chatmon et al. 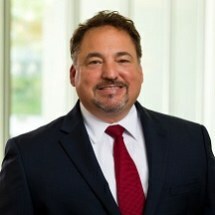 He was included in (201) Magazine's list of Bergen's Top Lawyers" in 2014, 2015, 2016, 2017 amd 2018 in Civil Litigation and Criminal Defense (Non-White Collar). He has also been included in the list of New Jersey Super Lawyers from 2013-2019, and was previously a New Jersey Super Lawyer Rising Star in 2006, 2007 and 2009. Williams et al. vs. Chatmon et al.